Tena Koutou. 'It takes a village to raise a child', an old human development phrase from my study days, but one that has stuck with me. What does that mean exactly and how well are we doing this in our communities? This may mean that we are connected into the community that we live in, our surrounding neighbourhood and whanau. We are aware of the difficulties a family may be facing and we put our hand up to help where we can. It may mean that within whanau and extended whanau, we are getting involved and meeting a need when asked. How realistic is this and how might you personally make a difference to the families and children around you? It could be as simple as offering to take a child out for an afternoon to give a parent a break; cooking a meal for a family, where the parent is unwell; offering your ear and a cuppa to a parent you know is struggling; offering some help with transport for children to get to school, whose only means of transport is to walk; dropping baking into families who may be struggling financially. These are just a few suggestions; I'm sure you can all come up with your own and I'm certain that we can all think of at least one family that we know would benefit from our input in some way. Throughout our lives we may all have times when we need support of some kind whilst raising our families. I feel that eventually it all comes out in the wash, and we come through and conquer our difficulties, leaving us in good stead to be a helping hand to others. Almost like paying it forward, we all have something great to share and pass on to others. I would like to gently challenge you all to offer your hand to a family, a parent, or a child in need and watch the ripple effects of your kindness impact positively in their world. 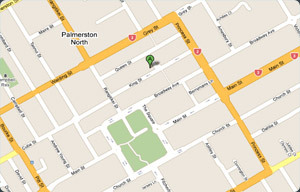 If you or someone you know could benefit from the support we offer here at Parentline, you can contact us on 06 355 1655.